Want to visit my Butterfly Art? What the caterpillar calls the end of the world, the Master calls the butterfly. It’s all right to have butterflies in your stomach. Just get them to fly in formation. We are closer to the ants than to butterflies. Very few people can endure much leisure. Are you a Butterfly? Ready for Change? Click the image below to begin your Healing Journey with Jelila – for Living in Delight! A great Online Therapist. Your Best Spiritual Transformation in Bali. Chakra Balancing. Sacred Geometry. Meditation. Energy. Shamanic Healing – BLOSSOMING HEARTS DESIRES! <a href=”http://eepurl.com/kPeqf”><img title=”Want to join? Simply leave your email – kept private – to join and get Gifts and 15% – 10% Discount – all items! – Blossoming Hearts Desires – Jelila – http://www.jelila.com&#8221; alt=”Want to join? Simply leave your email – kept private – to join and get Gifts and 15% – 10% Discount – all items! – Blossoming Hearts Desires – Jelila – http://www.jelila.com&#8221; src=”https://jelila.files.wordpress.com/2013/08/join-with-text-gift-pic.jpg&#8221; width=”208″ height=”200″ /></a> Get Your Free MP3! <em><strong><a href=”https://jelila.wordpress.com/about”><img class=”alignleft” title=”Want to Blossom Hearts Desires? Jelila – Living in Delight – Healing Therapy Online or in Person – jelila@jelila.com” alt=”Want to Blossom Hearts Desires? Jelila – Living in Delight – Healing Therapy Online or in Person – jelila@jelila.com” src=”https://jelila.files.wordpress.com/2009/10/jelila-icon3.jpg?w=131&#8243; width=”131″ height=”150″ /></a>Jelila</strong></em> is a well-known International Healer who Blossoms Hearts Desires through a range of life-enriching healing sessions including Crystal Healing, Energy Work, Past-Life Journeys, Sound Healing, The Reprogramming™ her Signature Technique, The Gift… of Harmony™, her own range of Crystal Healing Necklaces, Healing Music, Books, and more. <a href=”https://jelila.wordpress.com/category/a-spiritual-explorer/”><img class=”wp-image-5257 ” title=”Spiritual Explorer? – What’s Your Spiritual Style? Click to Find Out – http://www.jelila.com&#8221; alt=”Spiritual Explorer? – What’s Your Spiritual Style? Click to Find Out – http://www.jelila.com&#8221; src=”https://jelila.files.wordpress.com/2013/08/a-spiritual-explorer4-crop1.jpg&#8221; width=”78″ height=”78″ /></a> Spiritual Explorer? <a href=”https://jelila.wordpress.com/category/a-spiritual-warrior/”><img class=”wp-image-5254 ” title=”Spiritual Warrior? – What’s Your Spiritual Style? Click to Find Out – http://www.jelila.com&#8221; alt=”Spiritual Warrior? – What’s Your Spiritual Style? Click to Find Out – http://www.jelila.com&#8221; src=”https://jelila.files.wordpress.com/2013/08/spiritual-warrior2.jpg&#8221; width=”91″ height=”79″ /></a> Spiritual Warrior? <a href=”https://jelila.wordpress.com/category/a-spiritual-teacher/”><img class=”wp-image-5255 ” title=”Spiritual Teacher? – What’s Your Spiritual Style? Click to Find Out – http://www.jelila.com&#8221; alt=”Spiritual Teacher? – What’s Your Spiritual Style? Click to Find Out – http://www.jelila.com&#8221; src=”https://jelila.files.wordpress.com/2013/08/spiritual-teacher3.jpg?w=300&#8243; width=”86″ height=”78″ /></a> Spiritual Teacher? <a href=”https://jelila.wordpress.com/category/a-spiritual-style/”><img class=”size-thumbnail wp-image-5463 ” title=”Blossoming Hearts Desires – Which of 3 Kinds of Spiritual Pathfinder Are You? – http://www.jelila.com&#8221; alt=”Blossoming Hearts Desires – Which of 3 Kinds of Spiritual Pathfinder Are You? – http://www.jelila.com&#8221; src=”https://jelila.files.wordpress.com/2013/08/blossom-girl-silhouette-1-q-v1.jpg?w=150&#8243; width=”150″ height=”98″ /></a> Spiritual Pathfinder? Click to Find Out. <a href=”https://jelila.wordpress.com”><img class=” wp-image-5474″ title=”Blossoming Your Hearts Desires – http://www.jelila.com&#8221; alt=”Blossoming Your Hearts Desires – http://www.jelila.com&#8221; src=”https://jelila.files.wordpress.com/2013/08/blossom-lite-v2.jpg?w=150&#8243; width=”105″ height=”78″ /></a> Blossoming Hearts Desires? <a href=”jelila.wordpress.com/sessions/#PASTLIFEJOURNEY”><img title=”Want to visit your past lives in a gentle guided experience? Past-Life Journeys and other Sessions with Jelila – Living in Delight! 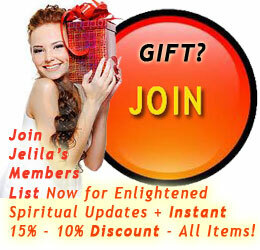 – http://www.jelila.com&#8221; alt=”Want to visit your past lives in a gentle guided experience? Past-Life Journeys and other Sessions with Jelila – Living in Delight! – http://www.jelila.com&#8221; src=”https://jelila.files.wordpress.com/2010/02/queen1.gif&#8221; width=”142″ height=”250″ /></a> Past-Life Journey? I love to write my own songs. The Lyrics, Music, and Positive Core Beliefs and Vibration of each ‘Journey’ are designed to positively program your subconscious mind, harmonising a different area of your life – collect the topics you need, relax and listen to feel the positive effect. This is a recording sample from a CD Journey in progress called ‘A Voyage Round My Father’ – Father Healing. Jelila’s Journeys guide your subconscious mind and bring a unique, relaxing healing experience every time you listen. Not for use while driving. Jelila Musical CD Journeys – 14 CDs to collect, each guiding you in a healing journey in a specific area of life. This Original Musical Journey explores issues with ‘Father’ and is designed to heal your relationship with your body, your physical reality, your money, authority, men in your life, fatherhood, and your real father, harmonising you. HELPS WITH: Heaviness, Depression, Moodiness, Difficulty with Cash, Physical Reality, Relationships with Men, with Father. LISTEN WHEN: You need Grace & Inspiration around Physical Reality, Father. When I become a bride? Will you please pick up the phone? I love you so. Don’t go. Music & Lyrics (c) Jelila 2011. All Rights Reserved.